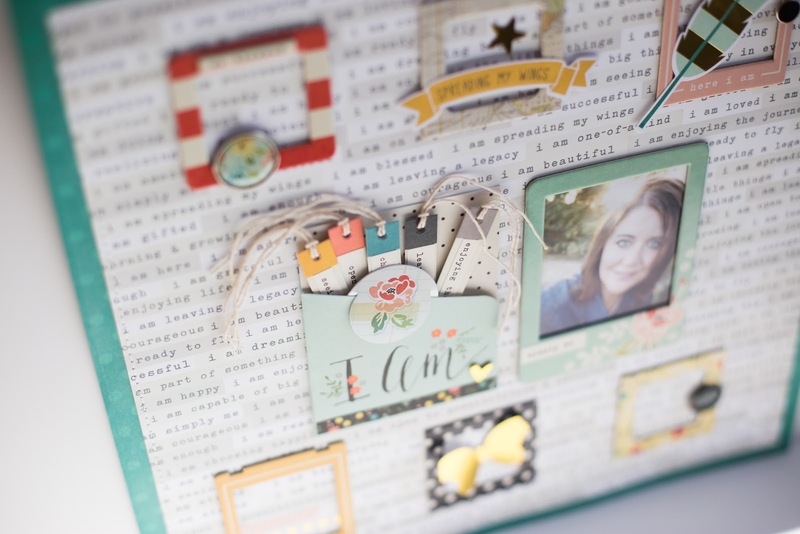 There is an amazing new release from Simple Stories called I Am and every scrapbooker needs it. Why? 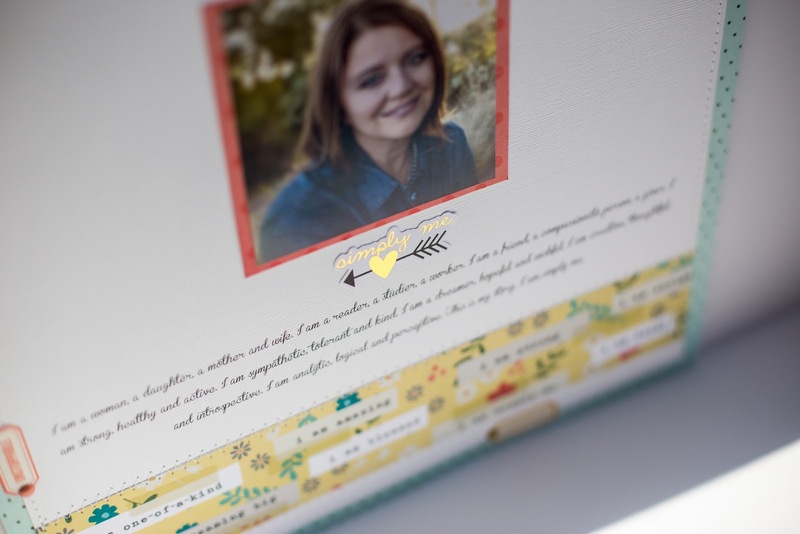 Because we all scrapbook everyone else first. Our kids, our families, our friends, husband's boyfriends, siblings, and pets. For some reason we always come last! 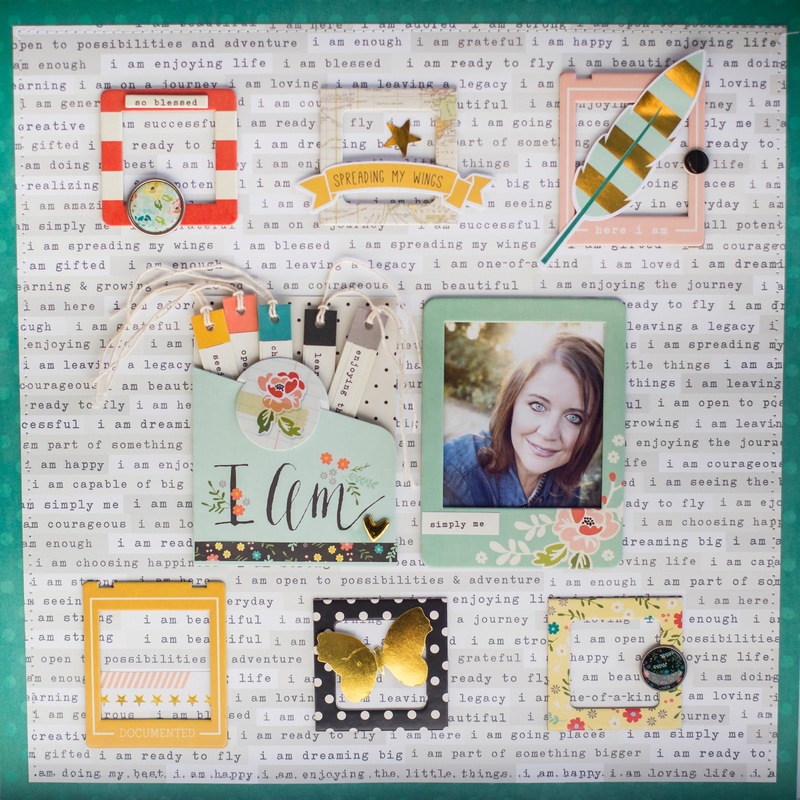 This new collection makes it a breeze to get YOU into the scrapbooks. Plus, it's gorgeous! 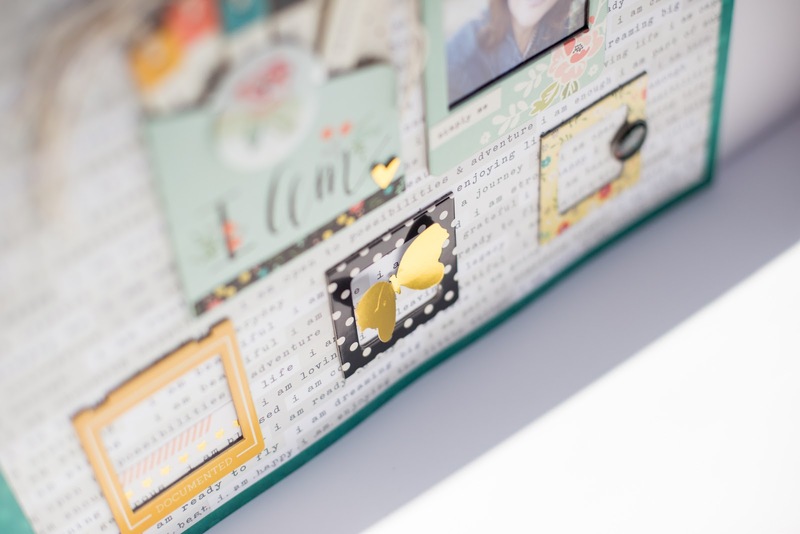 New to Simple Stories are chipboard frames and FOILED pieces. Love them both! I also loved the interactive pockets. This one had 5 flags with strings that fit inside. I added journaled word stickers as my journaling. I chose the ones that were appropriate for my layout, but seriously, does it get any easier than that?! 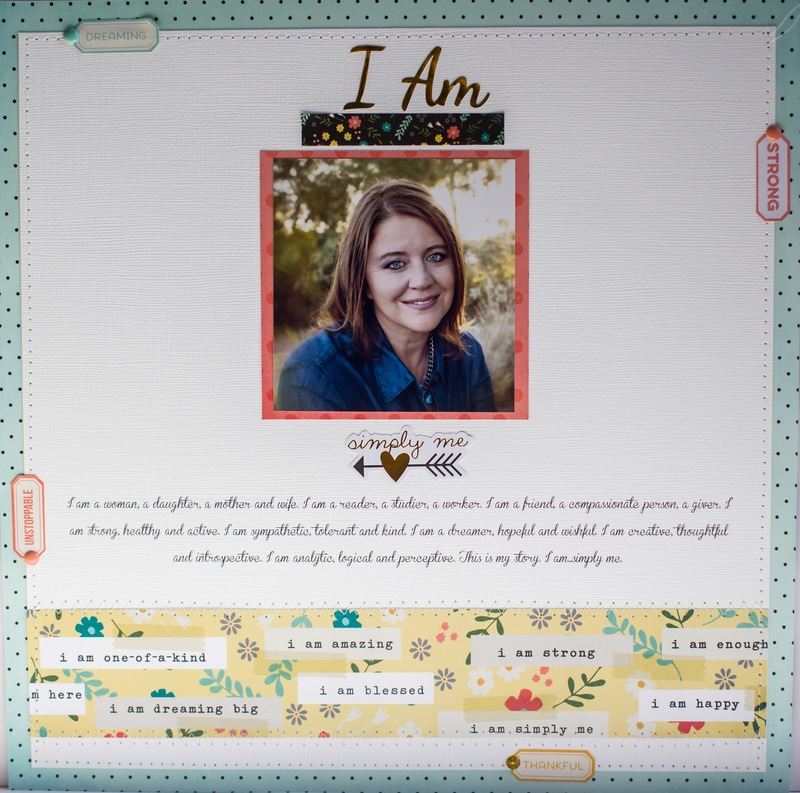 On this layout I typed my journaling, but the strip of patterned paper at the bottom also includes journaled sentiments in the I Am theme. I can't get over the beauty of the foiled pieces like this die cut. And with that in literally no time at all I had not one but TWO layouts about ME! I can't tell you how long it had been before this that I'd made a layout about myself. Grab this collection and get yourself in the books! LOVING your creations with this new line--FANTASTIC! !